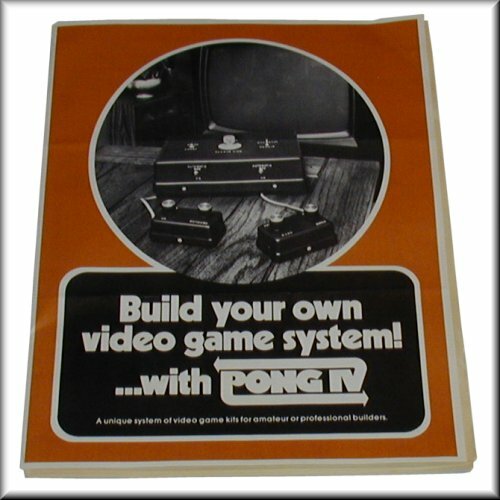 Interfab, an obscure company, released an interesting video game kit in 1976 called PONG IV. It played two games (Tennis and Handball), used discrete components (mostly TTL chips) and had digital on-screen scoring, a very rare feature for that type of system. 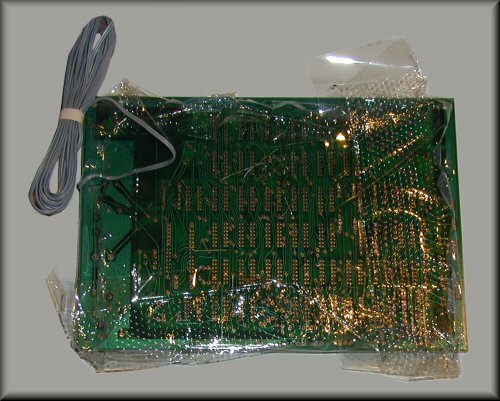 As a matter of fact, digital on-screen scoring required several additional chips to generate the digits, unless a character generator chip was used. Interfab opted for the second solution. 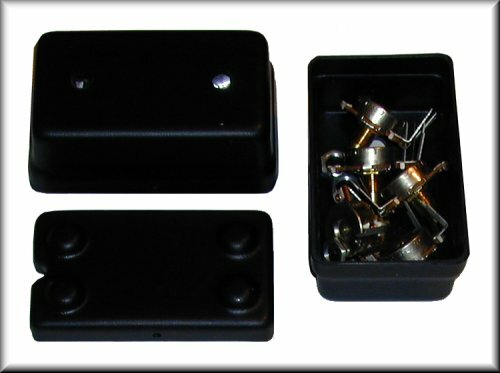 The kit could be purchased in three forms: fully assembled and ready for use, partially assembled (RF oscillator tuned), or ready to assemble from scratch. The third version is pictured here. As can be seen on the pictures, the components were already placed on the circuit board, which saved the time to place them. They were maintained on the board by a vaccuum-wrapped plastic film. 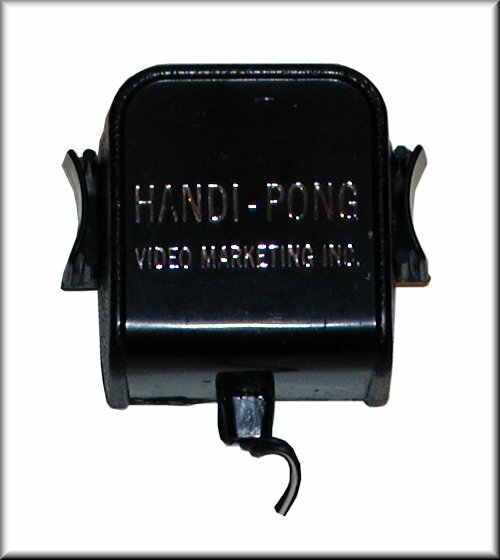 Both controllers contained their knobs, potentiometers and push-button (see picture). The kit pictured here did not come from an unsold dealer stock. 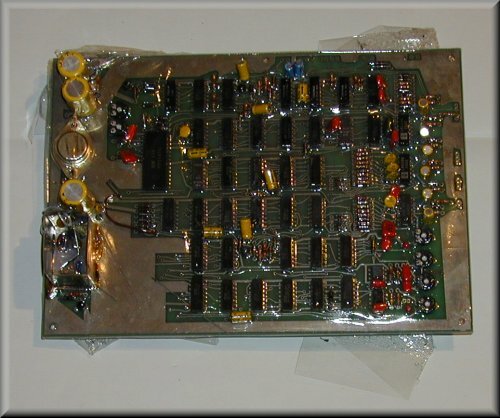 It was acquired from the original owner who purchased it in 1976, but never found the time to assemble it (he purchased an Odyssey console for his kids). Thus, the kit staid in a fantastic original condition. Popular Electronics in May 1976. AC adaptor. Note the different system name. Click the picture for viewing in large size. 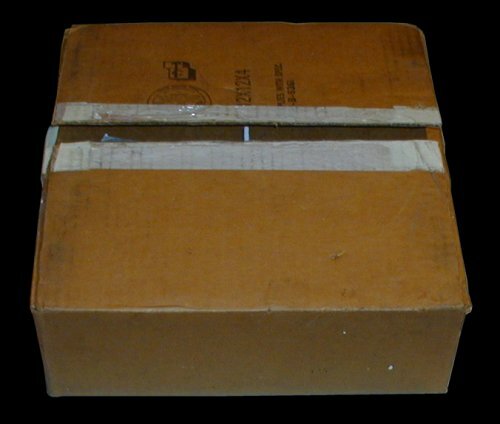 Left: original shipping box with Interfab address is on bottom side. Right: Assembly manual with detailed instructions and captions. Click the pictures for viewing in large size. 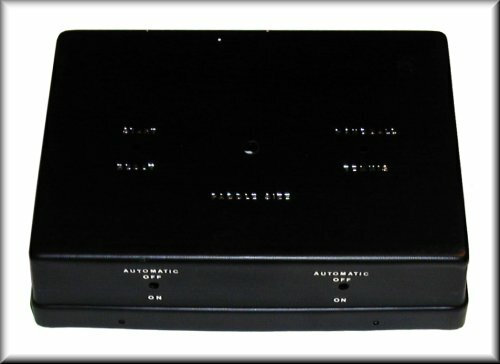 Left: the system case. Right: one controller and its components. Circuit board with its components placed and ready to be soldered.